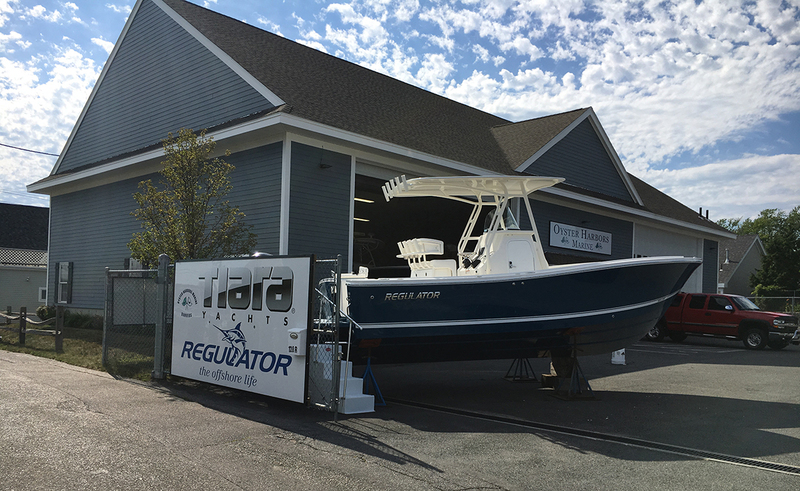 Oyster Harbors Marine recently announced we have two new locations where boaters – or anyone thinking of becoming a boater – can check out some of the best boats in the industry. The new locations in Danvers, Massachusetts and at Rowes Wharf in Boston, Massachusetts will allow people to have easy access to Oyster Harbors’ boats, while experiencing the same great customer service that Oyster Harbors is known for. The new location in Danvers is at 128R Water Street. There, visitors can learn about boats from such renowned boat builders as Albemarle, Legacy, Limestone, Mag Bay, Regulator, Tiara Yachts and Viking Yachts. The new branch also has 60 feet of dock space at Bunky’s Marina at 112 Liberty Street. Oyster Harbors’ other new location is at beautiful Rowes Wharf along the Boston waterfront. Oyster Harbors has three slips at the wharf where they are showcasing some of their most distinguished yachts. To tour and board Oyster Harbors’ yachts at Rowes Wharf, make an appointment by calling 978-880-8182. In addition to the two new locations, Oyster Harbors still has its other great sales offices. You’ll find us on Cape Cod in Osterville and Falmouth Massachusetts, in Essex, Connecticut, and in Freeport, Maine.